It's difficult to gauge which way U.S. markets will be heading after a seriously bumpy trading session Tuesday. But one thing seems certain: oil prices keep falling. 1. Oil slides: The price of crude oil is off by nearly 2% and trading below $63 per barrel. Oil prices have fallen by nearly 40% since June, which has created a lot of uncertainty as investors try to guess when the price will bottom out. Falling oil prices have wreaked havoc on the oil industry, but given a boost to travel companies and changed the business landscape for many other sectors. 2. Up or down? : U.S. stock futures were not making any big moves ahead of the open after staging a massive drop and a subsequent comeback on Tuesday. The Dow Jones industrial average fell by 222 points before recovering to close with a 51 point loss on Tuesday. 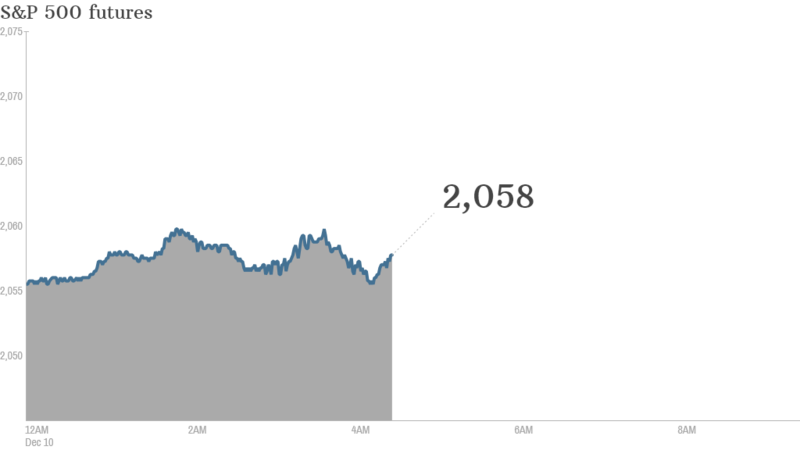 The S&P 500 landed barely in the red, and the Nasdaq rose about 0.5%. Currently, the CNNMoney Fear & Greed index is indicating the markets are in neutral mode. 3. International markets mixed: European markets are mostly rising in early trading, but Greek stocks were edging lower. Furious selling sent the market in Athens down nearly 13% on Tuesday as new elections rekindled worries about a possible default. Asian markets ended with mixed results. The Shanghai Composite rebounded about 3% after suffering heavy falls Tuesday. The benchmark Nikkei index in Japan slid by 2.3% as data showed a drop in consumer confidence. 4. Earnings updates: Costco (COST), Lands' End (LE) and Vera Bradley (VRA) will report earnings before the opening bell. Men's Wearhouse is among the companies reporting after the close.